Excellent release from the JC Raulston Arboretum in Raliegh, NC. This dense and rounded shrub is useful for its size- 3′ x 3′ in 7 years- or longer. But it has many other fine points. The leaves are thinner than normal with this species which is native to Japan. 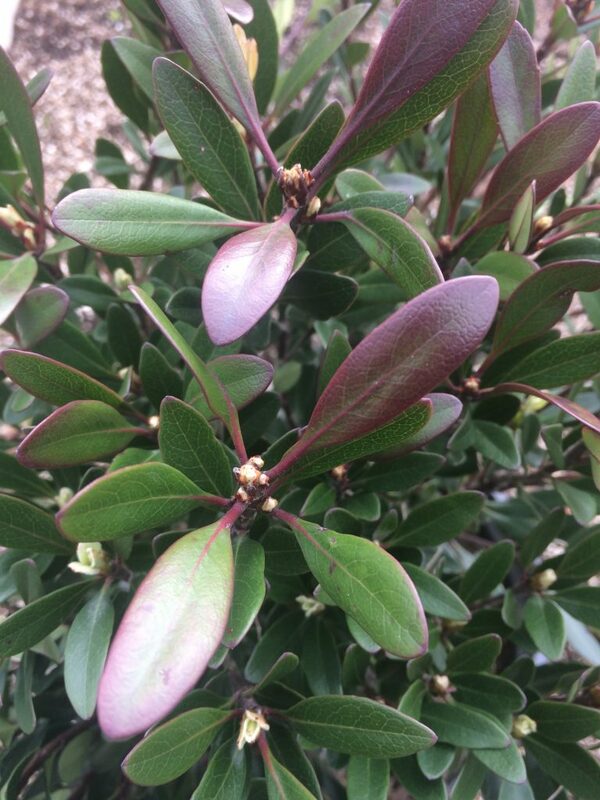 It is very very black spot resistant and the leathery glossy leaves turn from olive green/gray in summer to amazing stains of maroon and purple with cooler temperatures. 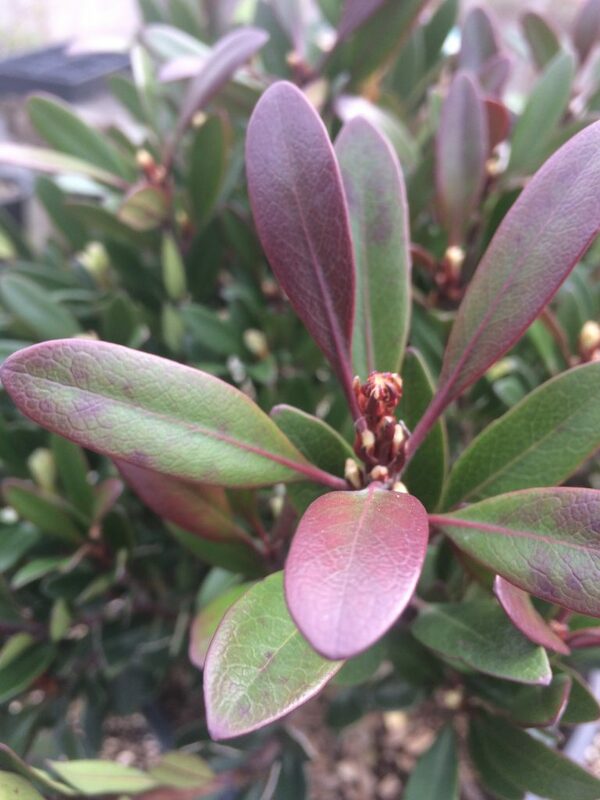 New growth is light beige and coated in furry indumentum before becoming glossy. A fascinating and beautiful display. 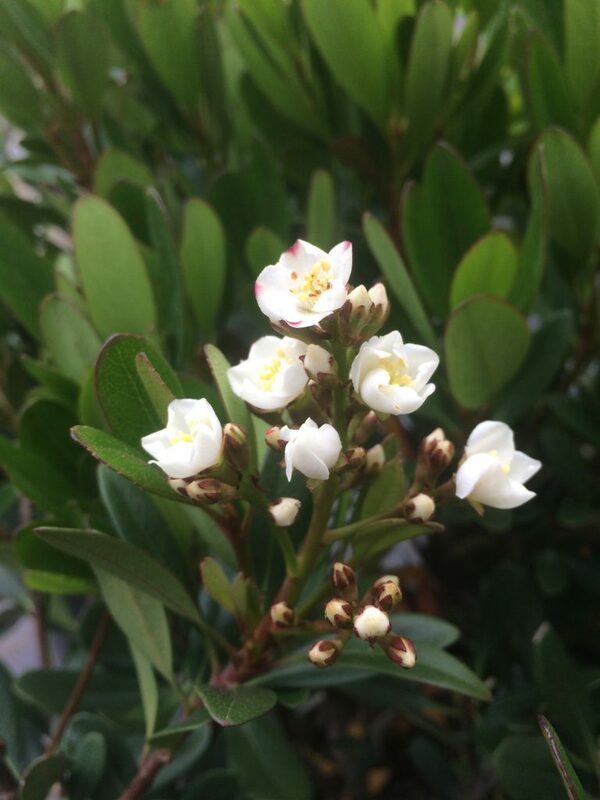 White flowers appear in May and are followed by fairly showy blue berries. Extremely drought tolerant and tolerant of high heat. Excellent on south facing walls or exposed urban situations with reflected heat. Handsome at all times and very easy to grow. Grows about 4″ per year. Nice measured growth that forms a rounded upright shrub. Excellent companion for other drought adapted shrubs-landscapes. It also accepts regular irrigation in summer- a useful adaptation for an already useful shrub. Full sun to part shade.